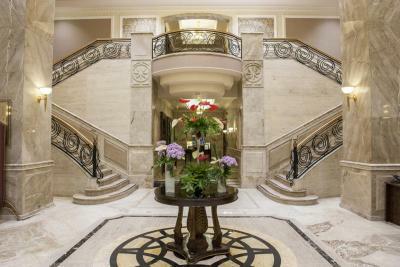 Five star hotel all around! 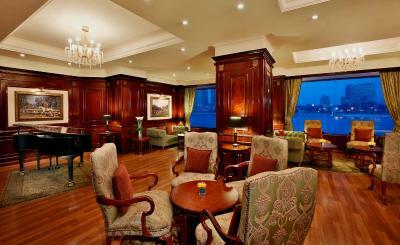 Friendly staff, beautiful accommodations, good food and great service. A big plus for their security system at the entrance. Always felt safe. Would stay here again and i highly recommend it! 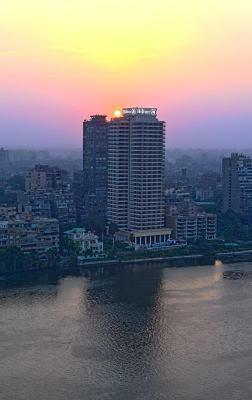 Thanks to Marina from front desk office for upgrading our standard room to Suite room facing the Nile River...it was an awesome satay with great facilities and safety was not neglected. Bravo guys!! The hotel is located in a very nice neighbourhood, the staff is friendly and kind, but they have some strict rules, like "you are not allowed to bring your shisha" in your room, for safety reasons. Apart from this minor thing, the overall staying was very pleasant. Actually the whole experience was awesome , I want to thank the entire stuff for their professionalism especially Mahmoud Hamdan, head of F&B. He was extra wonderful and very helpful ! 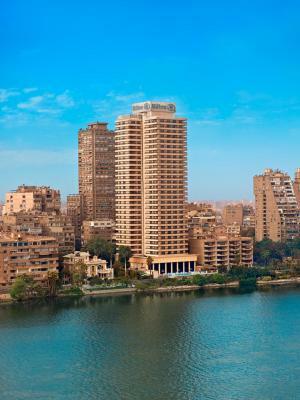 Hilton Cairo Zamalek Residences This rating is a reflection of how the property compares to the industry standard when it comes to price, facilities and services available. It's based on a self-evaluation by the property. Use this rating to help choose your stay! 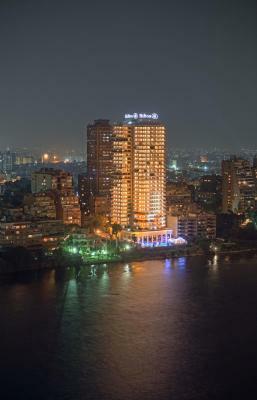 One of our top picks in Cairo.The Hilton Zamalek Residences hotel is set on the picturesque island of Zamalek among the waters of the River Nile. 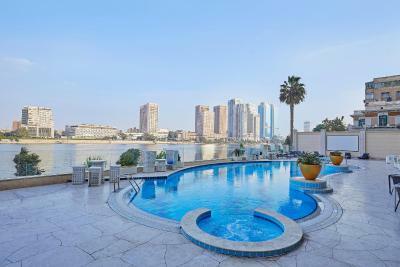 This hotel has an outdoor heated swimming pool adjacent to children heated pool overlooking the Nile River. 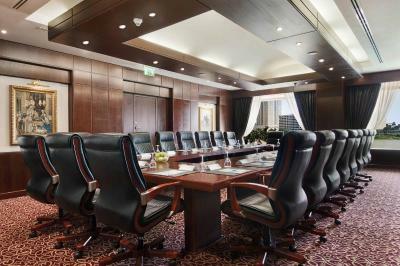 Meeting facilities are also available. 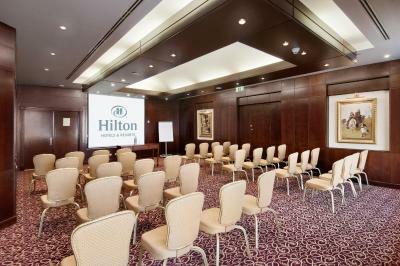 The bright and airy rooms at the Hilton Zamalek Residences have a private balcony, LCD TV with satellite channels, tea/coffee tray and both Wi-Fi and Ethernet access. 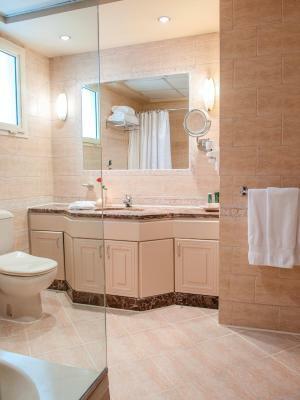 The bathrooms are equipped with toiletries and a hairdryer. 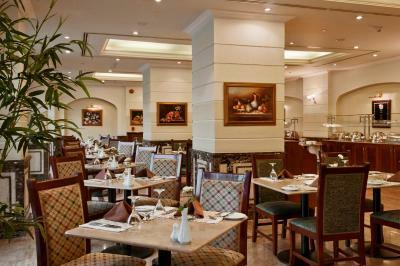 Guests of the Hilton Residence can enjoy international cuisine at the restaurant. 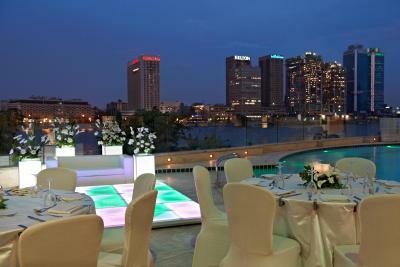 The Terrace is serving hot and cold drinks on pool deck overlooking the Nile. 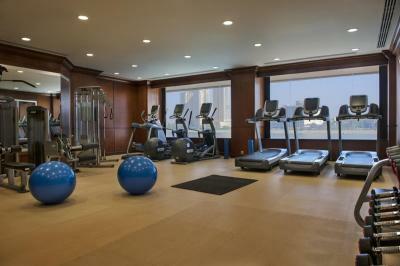 Charge Up Health Club offers a range of massage services, as well as a sauna and steam room. 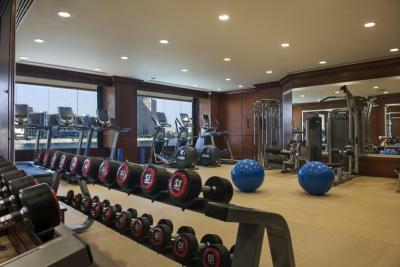 The gym offers the latest technology of cardiovascular equipment. 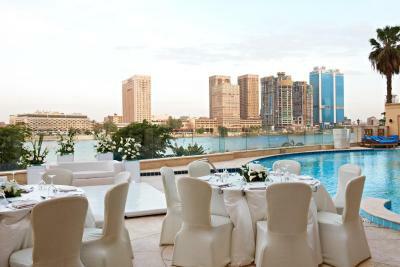 Zamalek is a great choice for travelers interested in nightlife, restaurants and entertainment. 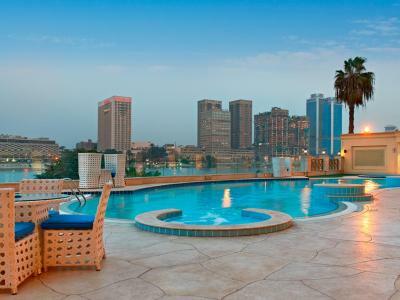 When would you like to stay at Hilton Cairo Zamalek Residences? 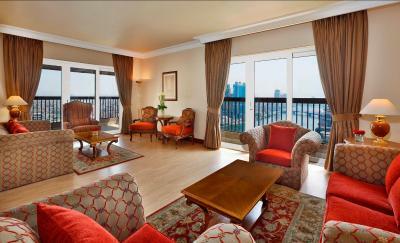 This room features a balcony overlooking the city. 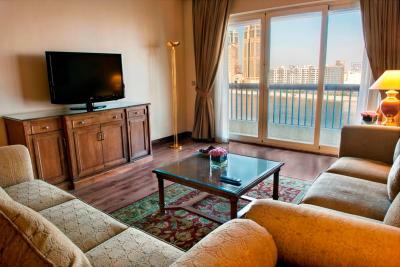 It offers a flat-screen TV, a mini-bar, and a tea and coffee maker. 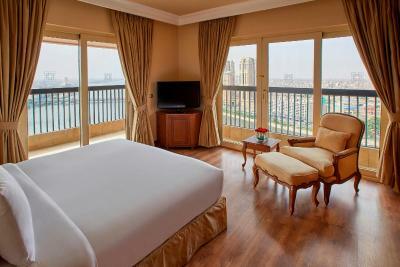 This room features a private balcony overlooking the Nile. 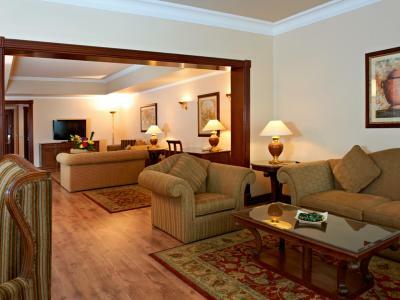 It offers a mini-bar a flat screen TV and a tea and coffee maker. 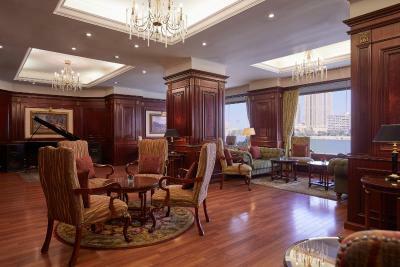 Featuring a balcony overlooking the Nile, this suite is located between the 2nd and 23rd floors of the hotel. 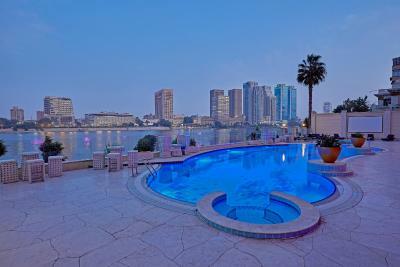 It has 2 bedrooms overlooking the Nile, each fitted with a flat-screen TV. 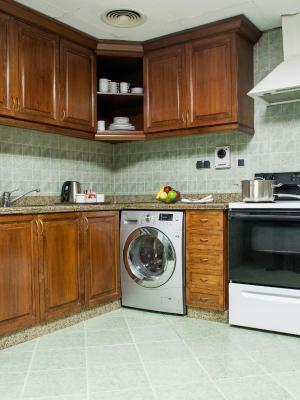 It includes a living room and a full kitchen. 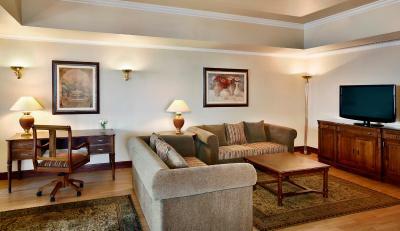 It has 2 bathrooms fitted with upscale amenities. 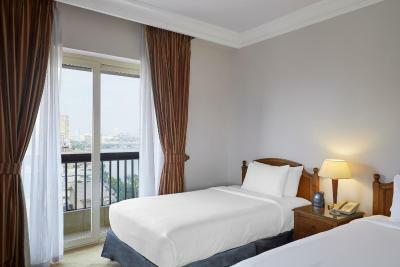 Located between the 13th and 26th floor of the hotel, this suite consists of one master King bedroom, and two twin bed rooms, all equipped with LCD TVs. 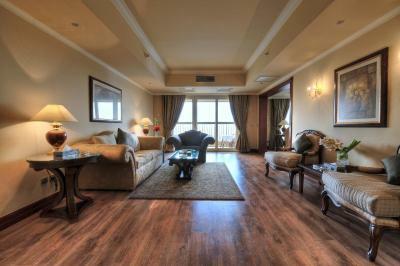 A large reception area, dining room, fully equipped kitchen, and three bathrooms. 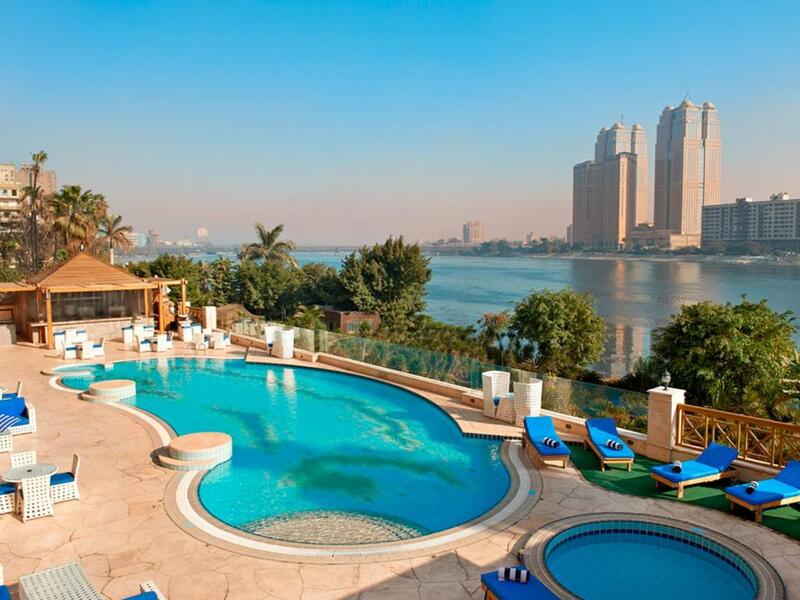 There’s ample space to entertain, work or just relax and soak up the Egyptian sunshine from the large private balcony with panoramic views of the Nile River. 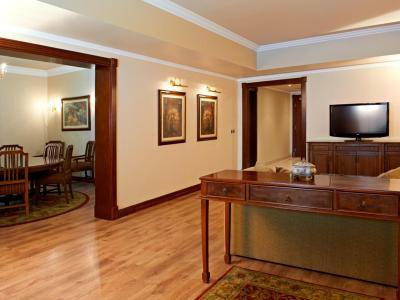 Presidential Suite features a two-story duplex suite and consists of a master king bedroom, two twin bedrooms and three bathrooms, in addition to nanny's quarters with private bathroom , large reception and ,dining area , fully equipped kitchen and a large private balcony to enjoy magnificent views of the Nile. 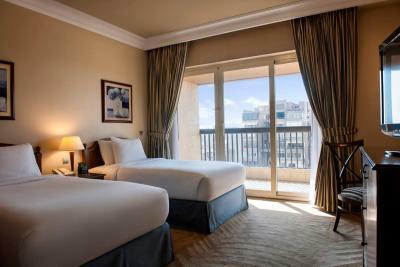 This twin room features a balcony, air conditioning and flat-screen TV. 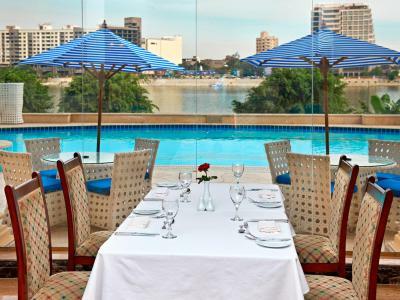 House Rules Hilton Cairo Zamalek Residences takes special requests – add in the next step! 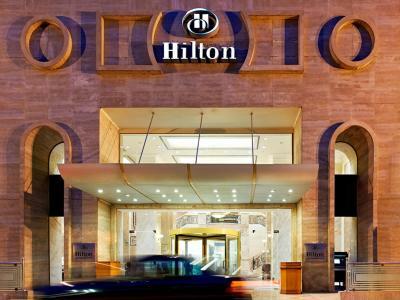 Hilton Cairo Zamalek Residences accepts these cards and reserves the right to temporarily hold an amount prior to arrival. 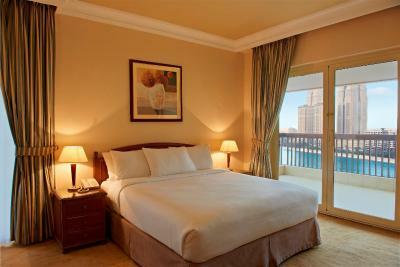 Please note that not all rooms can accommodate extra bed. 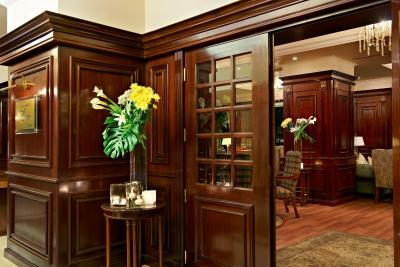 Please note that the parking is only accessible by valet parking. The bed was comfy. Ms FARIDA at guest services was superb. She made the difference between a ok hotel and an amazing hotel. The personnel sometimes had a difficulty in understanding English. The rooms are quite outdated. Also, it was very warm in the room (heater was on). The photos made the property look a bit more modern than it is. The breakfast is too expensive for the quality and selection. Staff was friendly upon arrival. The pool had a nice view. I was upgraded free of charge, much appreciated. The area is safe, walkable to many great restaurants. 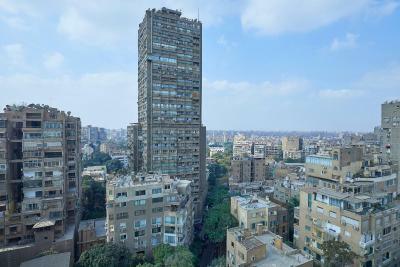 Proximity to restaurants, Zamalek is an awesome place to stay in and tour Cairo. Hotel staff at reception very helpful! The swimming pool is not proper and suitable. 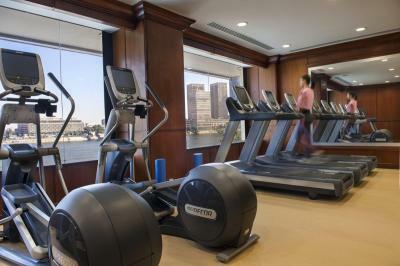 The view of the Nile is nice and the facilities of the room is good. Water leaks, no bowls for cereal in kitchen and the staff was slow in providing basic services such as checking in and out!! Reception and how all made you feel. Staff were over he top especially Tamar, Farida & Raini. House keeping was my greatest letdown but a wonderful place to stay.